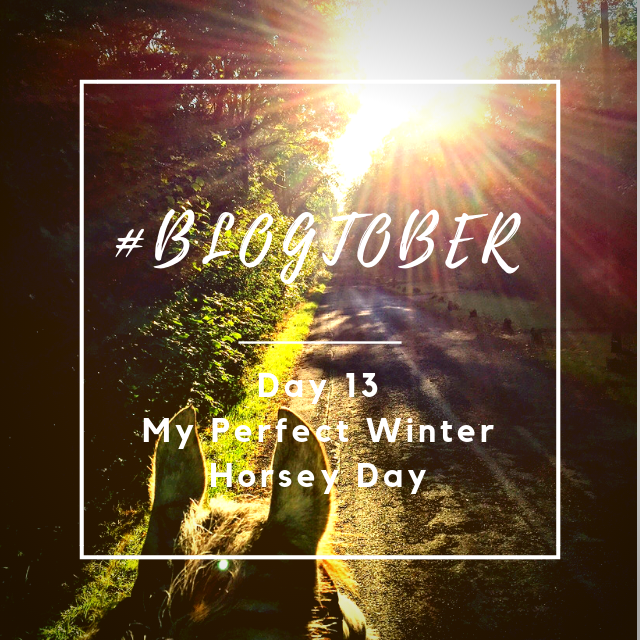 #Blogtober Day 13: What is my ideal autumn or winter horsey day? The type of morning where you can see yours and your horses breath, when you’re on a fully clipped horse wrapped in his exercise sheet, and you’re in your snood with as many layers as you can fit on. Both snug as a bug but feeling the crisp air as you ride along. I try to head out on these rides at 7.30am/8am, and love coming back to the yard around 10am & doing my yard jobs, before heading home for a crispy bacon sandwich and hot cup of tea! Winter isn’t all doom and gloom…!